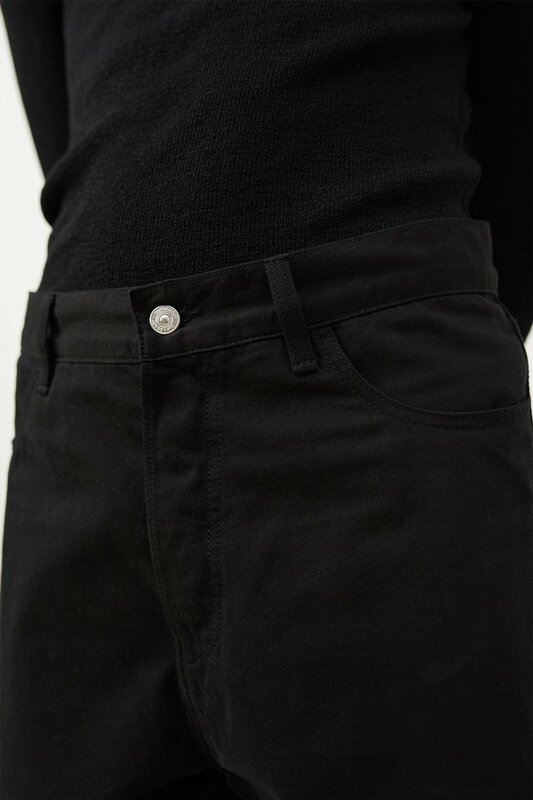 Our Scarecrow Trousers in Black. 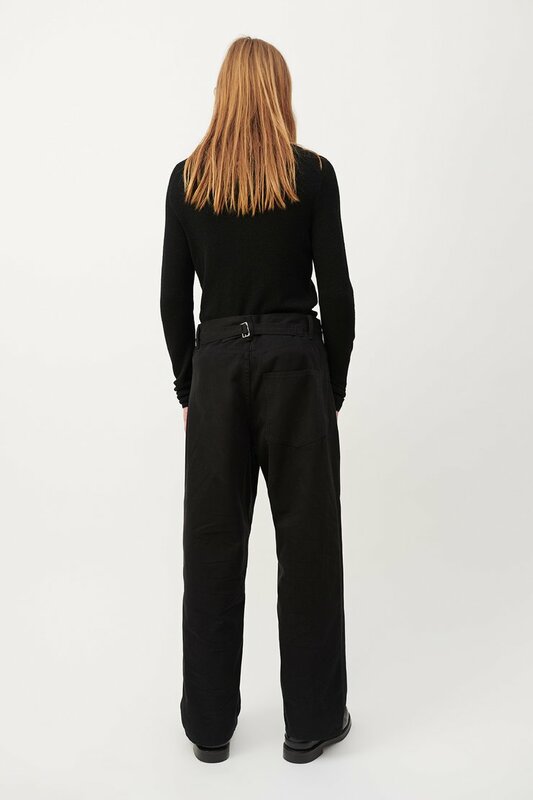 Produced in a pigment dyed Portuguese cotton fabric, the relaxed fitting Scarecrow Trousers feature a single back pocket and adjustable cinch. 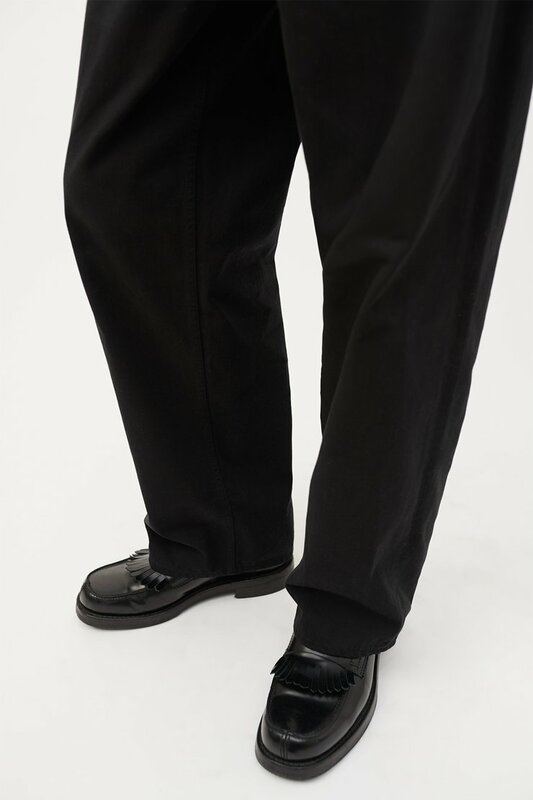 Our Scarecrow Trousers are true to size with a wide leg and relaxed fit. 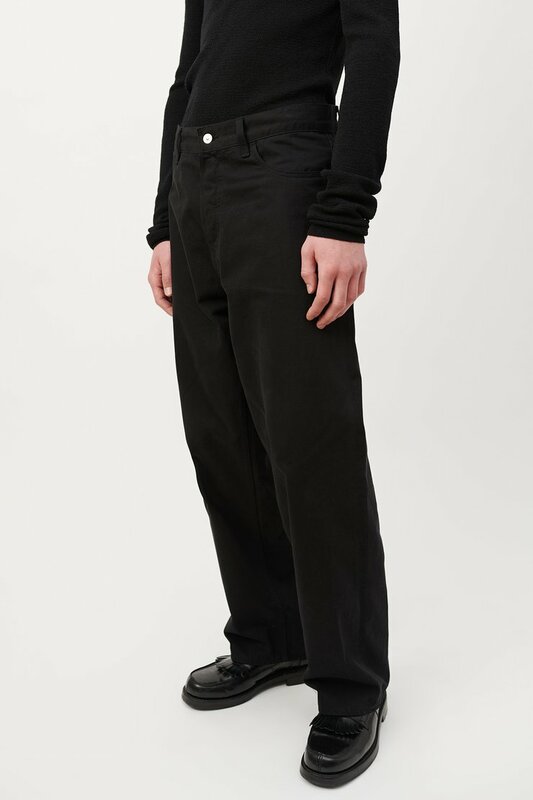 The model is 187 cm tall with a 32” waist and is wearing a size 48.